PG-13 | Sexual content and some language. I was able to catch the premiere screening of Baggage Claim at the Urbanworld Film Festival which you read about here earlier this week. 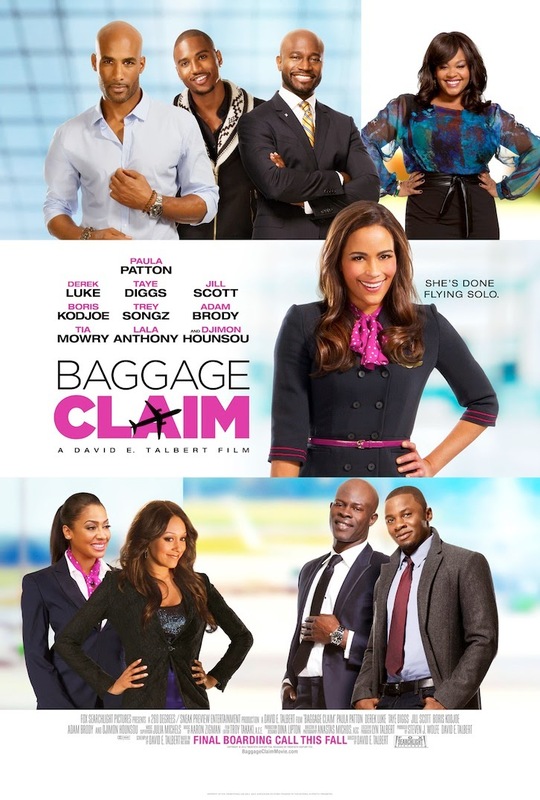 The film written and directed by David E. Talbert is a romance comedy about an air stewardess Montana Moore (Paula Patton) who attempts to find a marriage ready man within 30 days in time for her younger sister's wedding rehearsal dinner. She is driven to do so given the pressures of her mother who has remarried numerous times and is stuck playing the maid of honor but never the bride. The story while a little absurd or as Montana's fellow air stewardess friend put it, "illegal" only adds to the laughter of the situation. They use their network of airport workers to track down her ex-boyfriends in hoping that one of them has since developed into husband material since she last saw them. We get to meet an eclectic group of smart successful black males all with one defect or another. Like the lying music mogul with a deranged partner or the over controlling politician. The cast from the small roles to the leading leads all bring their A game to the table in this film. One actor that really stood out not for being the only Caucasian in the film, but for his outstanding performance is Adam Brody as Sam who is one of Montana's friend and colleague. Some of my favorite scenes though involved Affion Crockett as the TSA agent Cedric and Jill Scott as Montana's friend and coworker Gail Best. Paula Patton starts off like her character not really sure of herself, but gains momentum as the film goes on. 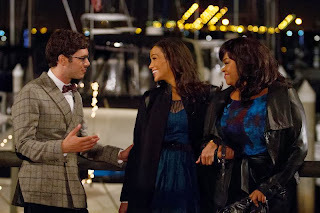 Likewise, the beginning of the film suffers from pacing problems as the series of scenes seems to be more written as separate skits than a smoothly woven story. As the story builds and the filmmakers and cast settles in, the film develops into one of the best romantic comedies this Summer. The actors credit David as a strong Director in leading and setting the tone throughout filming during the Q&A I attended. His humorous nature which I got to witness in the Q&A helped in creating some uproarious dialogue and situations throughout the film. Overall I would recommend this film to friends and family. 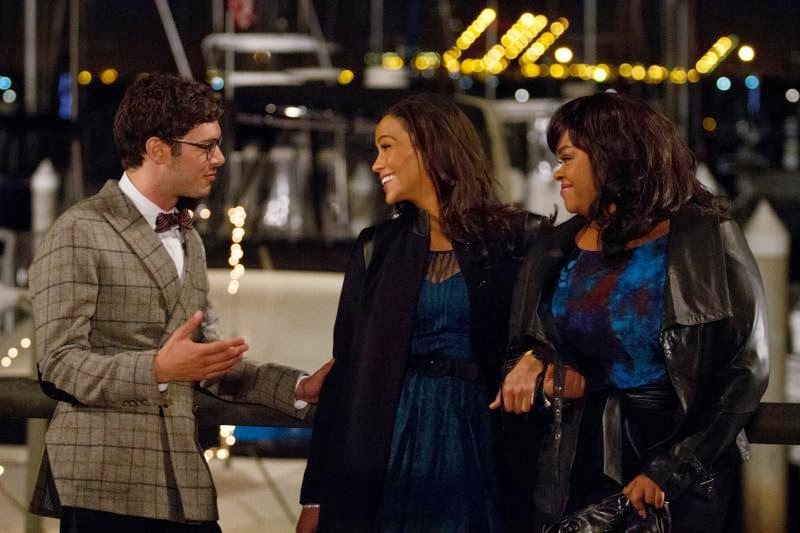 Even though the film features a mainly black cast and is targeted toward a black audience, it has the right material and touches to make any type of audience rollicking with glee. The comedy which may not be an instant classic comes awfully close as we watch Montana trying to find out what's right for her in her pursuit of happiness.